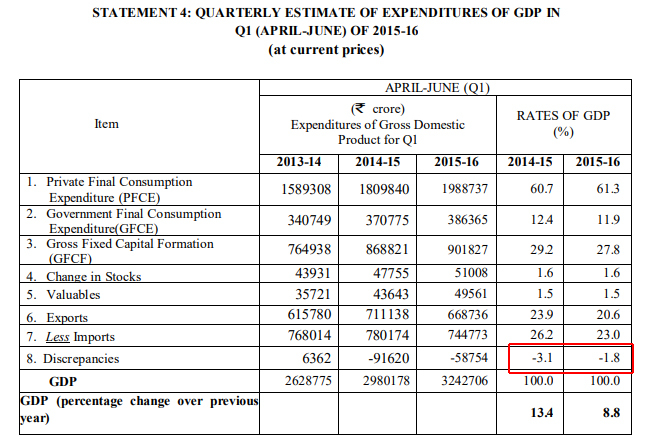 The Government of India releases GDP (Gross Domestic Product) number every quarter. 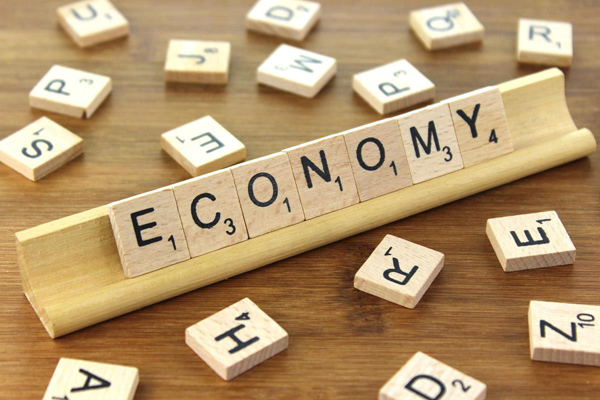 The press release contains information on various sectors of the economy and also includes the components of how the GDP is made up of. Here is how you can interpret the GDP press release and apply the knowledge to pick select stocks from sectors that are faring better. I have downloaded a copy of the latest GDP numbers (2nd quarter ended 2018, released on 1-12-18). Agriculture, Forestry and Fishing grew from 2.6% to 3.8% YOY - This is a largely unorganized sector. But there are some fishing stocks listed, and you should track these. Mining and quarrying fell by 2.4% compared to growth of 6.9% last year. This can be because the monsoon season may not be friendly for the mining industry and therefore you should check the September 18 quarterly results of mining company to know the impact. 6.8.% compared to 8.5% YOY. This is bad new for media companies, tourism and mobile telephone companies. Electricity, gas and other utilities grew by 9.2% compared to 7.7%, which should be good news for power suppliers and distribution firms, and gas companies. 7.8% compared to 3.1%. This is knockout news for cement companies. Financial,Real Estate and Professional Services grew by 6.3% compared to 6.1%. This is actually good news for the real estate sector because it represents 75% of this sector's GDP. compared to 6.1% YOY. This is terrific news for government suppliers..
Reading through the notes gives you a fair idea of the sectors that are doing good business. You should track some stocks and check their quarterly results and even consider rejigging your medium term portfolio. From the components of GDP, it is disturbing to note that private consumption has fallen (indicating low demand for goods and services) and Discrepancies have increased to 3.4%. Aditi Nayar, senior economist at ICRA, is of the opinion that discrepancies actually do not matter and that these are evened out in subsequent quarters. In the article linked above, you also will learn what discrepancies are all about. 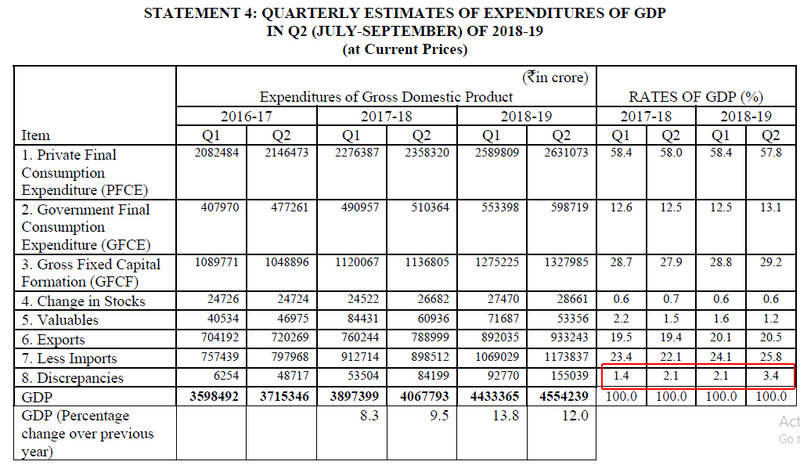 So, the discrepancies tat were 1.4% in Q1 of 2017-18 should have evened out by now. But the discrepancies have kept increasing. This is not a good sign. Analyzing these two aspects will help you track sectors that are doing well and also learn about the impact of the components of GDP calculation. 1 Comment on "How to Analyze GDP Numbers and Read Sectoral Trends"